Christopher Griffin was setting up a stage in preparation for the first weekend of the Coachella Valley Music and Arts Festival in Indio, Calif. The Coachella worker who fell to his death while setting up a stage for the festival has been identified as a 49-year-old San Diego, California man, according to the Riverside County Coroner’s Office. Christopher Griffin was setting up a stage in preparation for the first weekend of the Coachella Valley Music and Arts Festival in Indio, Calif., Saturday when he fell 60 feet and died. The Riverside County Fire Department reported receiving a call of Griffin falling from a roof at 9:26 a.m. near the intersection of Monroe Street and Avenue 50. 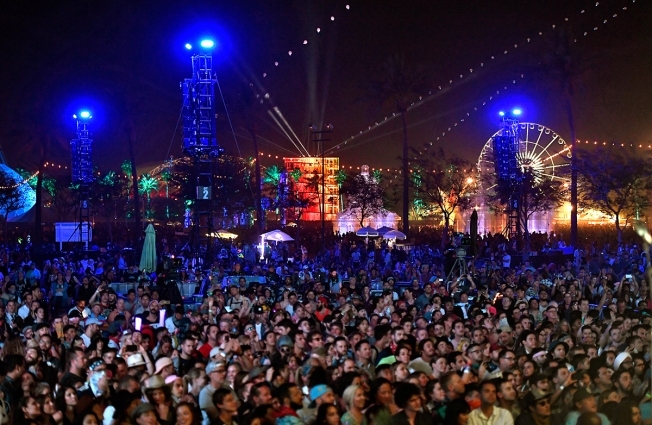 The venue for the festival, the Empire Polo Club, is located on the southwest corner of that intersection.